In my growing up in Martinez I was very fortunate to attend the Martinez Elementary School on Susana Street. This was some 55 years ago now. After a hard day at school we would get out around 3 PM. As we all walked to our homes, the girls would take a sharp turn onto Estudillo Street going one block to the Camp Fire Girls building. This to any self respecting boy was a no-boys land, for every boy knew that all girls had cooties and this was their haven to be rid of any mean old boys. But we boys had just a block down in the other direction the Boys Club. This to any self respecting girl was a no-girls land, and every girl knew that all boys had cooties and this was their haven to be rid of any mean old girls. It wasn’t until much later that we all came to learn that having a pretty young lady by your side was a beautiful thing to behold and if you were lucky enough she might give you a quick kiss on the cheek, that is, if you were nice – well you knew then, that you were golden, to be sure. This story is about their getaway - that little hideaway on Estudillo Street called the Camp Fire Girls building. In December 1948 the Martinez Camp Fire Girls proudly announced the opening of their long awaited “dream-come-true” a five room headquarters. Rev. Donald Gaylord, pastor of the Martinez Congregational church who delivered the dedicatory address called the structure a “milestone on the road of guidance for young people, and that “the program would be a stimulant for tomorrow’s leaders”. Dr. Vernon V. Edwards, president of the Camp Fire Council served as master of ceremonies. He made special mention of J. W. McClellan, who donated the property for the building; Contra Costa County officials donated ground cover along with Sheriff James Long who provided prisoners for labor. Dr. Edwards named those who participated in the project, Elton Parsons, Fred Confer, Tom DeLacy, Ed Pascoe, Jean Butler, Ken Forry, Dr. Edwards, George Richardson, Allen Van Orden and Donald Butler. The building project began in April of 1948 and was built with cash, material contributions and volunteer labor. The invocation was delivered by Father John Hayes of Saint Catherine Parish; the presentation of colors were conducted by Pauline Ruiz, Pat Gendenning, Halline Adamson and Linda Shepherd; a brief address by Arvid Naylor, who was the secretary of the council, who then turned the program over to Mary Fiddler who was the Camp Fire executive. Mary Fiddler was also the director of Region 10, which at that time included northern California, Nevada and Utah. The benediction was delivered by William Hurst, pastor of the First Baptist church. Music was presented by the Horizon Club Girls; Marge Huguet, Shirley Kay, Gail Keating, Joan Brackman, Diane Silvers, Pat Madison, Margaret Naylor, Joan Malmin, Barbara Smith, Colleen Cahill and Arlene Decker. 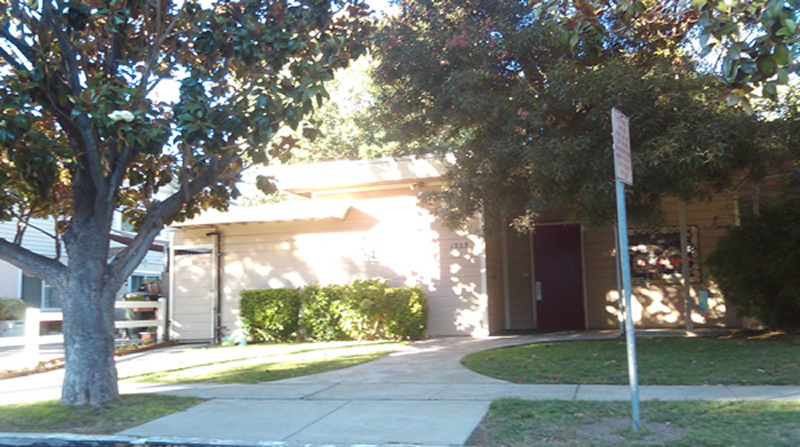 The building was dedicated at 2 PM on Sunday December 19, 1948 at a cost of $25,000 at 1333 Estudillo Street with an open house that followed. The rooms were decorated by Granshaw’s and Irwin Florists for the occasion. A Christmas tree and decorations were provided Mrs. J. W. McClellan, Miss Helen McClellan and Mrs. Bosco Bartolomei. In the big fireplace a Christmas fire burned brightly for the grand opening. Three hundred Martinez Camp Fire and Blue Bird girls centered their activities there. The building was closed in the 1990’s with the merger of the Alameda - Contra Costa Council with the greater San Francisco Bay Area Council. The building now houses a Montessori school; the building is still being used for the youth of the community.